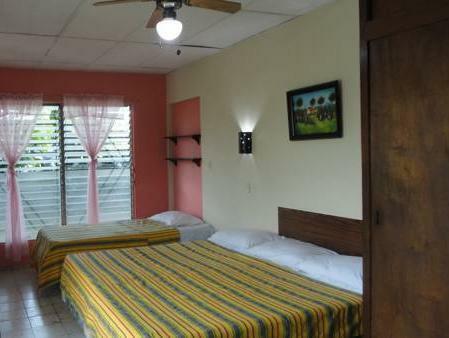 ﻿ Best Price on Hostal Dona Marta in San Salvador + Reviews! 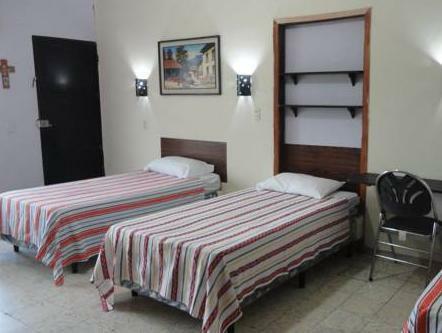 Hostal Doña Marta is located 0.6 mi from Cuscatlan Park and from Tin marin Museum. It features a sun terrace, a garden, complimentary Continental breakfast and free Wi-Fi throughout the property. The basi-décor rooms offer a desk, fan, cable TV and garden views. 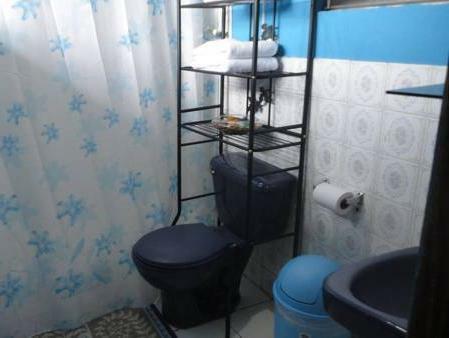 The private or shared bathrooms come with free toiletries and shower. The restaurant at Hostal Doña Marta includes a menu with local dishes and seafood. Guests can ask for room service and enjoy domestic and international drinks. Galerias Shopping Mall is 7 minutes’ drive away and La Gran Via Shopping Center is 10 minutes’ drive away. 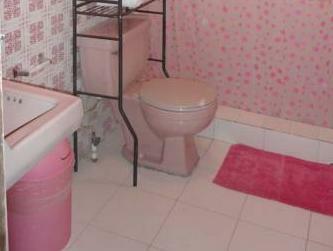 This B&B is 5 minutes’ drive from the Cuscatlan football stadium and 3.1 mi from El Salvador Art Museum. El Salvador International Airport is 40 minutes’ drive away. The hotel can contact to a local travel agent to arrange different tours along of El Salvador. Please note that the first night of the reservation must be paid in advance. Once a booking has been made, the hotel will contact the guest directly to arrange payment by bank transfer. Please inform Hostal Doña Marta of your expected arrival time in advance. You can use the Special Requests box when booking, or contact the property directly using the contact details in your confirmation. Guests are required to show a photo ID and credit card upon check-in. Please note that all Special Requests are subject to availability and additional charges may apply. If you require an invoice when booking a prepaid rate, write this and your company details in the Special Requests box. In the event of an early departure, the property will charge you the full amount for your stay.